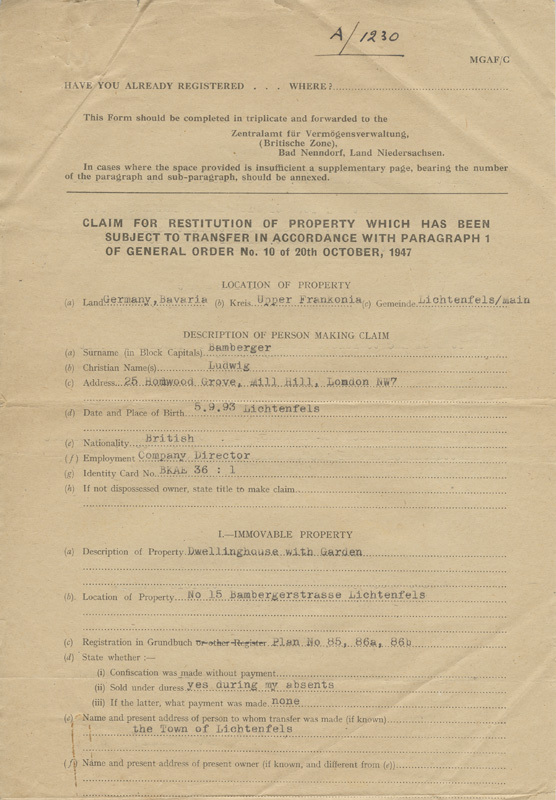 Ludwig filed this application in January 1948 for restitution for the loss of his home in Lichtenfels. He notes that the property, No. 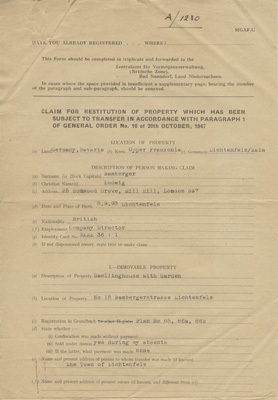 15 Bambergerstrasse, was sold under duress during his absence and that he received no payment from the sale.